Organising a fundraiser for charity may turn out to be quite a bit of work, so being organised is very important. Fundraisers include events like a catered dinner, auctions, getting sponsorship, selling tickets for raffles and live entertainment shows. These things will mean planning well long in advance, but the benefits and rewards of hosting this type of event are usually good. A casino night fundraiser is a great way to raise funds. One of the fun parts of having a casino night fundraiser is that adults get the chance to dress up. To get started you need to get some dedicated volunteers together. Divide the group by giving each group a certain task to complete. It is best to have people working in pairs, larger groups usually means that a task takes longer to complete. Check with your volunteers who have connections for products that can be used as prizes. Try to get things that have the WOW factor. Party supply companies may be able to assist with equipment for the games and some may even have staff that can run these games or acts as croupiers. If permits are required ensure that these are obtained well ahead of time. Some areas do not allow cash winnings when gambling. 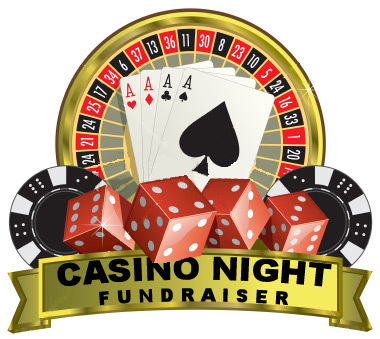 Having a casino night offers many ways to raise funds and this can include corporate sponsorship, a cash bar, selling tickets and a catered dinner. Ticket prices should be calculated in such a way that they cover your expenses. You can offer different tickets for those who may just want to play games but may not want to eat dinner. Having a black tie dress code is usually a great way to draw crowds and choosing a good venue is important as well. Try to include popular casino games such as roulette, blackjack, poker and if you can get hold of some slot machines that would be great, as these are as much fun as online betting. If your jurisdiction does not allow cash winnings try to get prizes from companies or friends. Prizes may include movie tickets or restaurant vouchers. It may be a good idea to also have an overall larger prize like a holiday. Advertising the casino night fundraiser is key to having as many people as possible attend. This can be done by means of a newsletter, email and word of mouth. You can also place an advert in your local newspaper, as these are often free. In your advertising ensure that you highlight some of the events and make it very clear that the event is for raising funds for a charity. A casino night fundraiser is sure to draw many people, and the fact that it is for charity is usually a great reason for people to attend. It may seem like a lot of work, planning and organising, but the end result is worth it. This type of fundraiser also offers many ways to raise money, and promoting such an event is easy. This type of fundraiser can also become an annual event that everyone can look forward to.